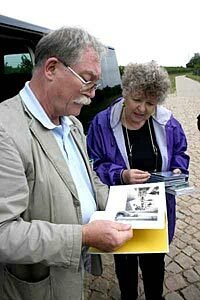 Joy Erickson of Sarasota, Florida goes over family history with a resident of her ancestral town in Germany. Cyndi’s List of Genealogical Sites on the Internet — Cyndi features thousands of links to genealogical web sites. A great starting point for the beginner or a source of new information for the experienced researcher. Kirchbau.de helps you determine the age of your ancestral church with a simple and easy to use search function. The results may astound you! Some churches in Germany go back to the 10th century. The results page can also sometimes show a photo or two along with the address of the parish office. As another small token of our appreciation, we thought it would be nice send along a helpful resource that we came across. It’s http://www.homeadvisor.com/article.show.History-at-Home-A-Guide-to-Genealogy.17370.html and it has great information and resources for genealogy. Lensmen Press and Public Relations Photographic Agency was set up in 1952 by Andy Farren and Padraig MacBrien, over the years they built a archive of over 2.6 million negatives. In 1995, Susan Kennedy took over the business and inherited the archive. Included in it are many fascinating images of key events: The Beatles, Princess Grace, Muhammad Ali and John F. Kennedy all visited, many Presidents were inaugurated and many Football and Hurling finals were won and lost. However, what I feel makes it even more valuable, historically speaking, are the images of day-to-day Irish life – street scenes, dog shows, weddings, communions, office presentations and family portraits. Out of print books, hard to find published genealogies and detailed, high quality historic map reproductions and much more. Visit the online store for Martlet Books and Jonathan Sheppard here. Barnette’s Family Tree Bookstore — you can order books and have them sent to you from my friend Mic’s huge inventory. Family Tree Magazine — A high quality magazine that featured an article about European Focus Private Tours in their June, 2000 issue. Back copies can be ordered from the magazine’s publishers. German Life Magazine — user of European Focus photography. 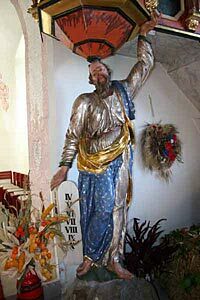 Czech Republic web sites, for help in researching Bohemia and Moravia and more. The Poland site is very helpful, especially in helping you translate the old German name of a town to the current-day Polish name. Immigrant Ships Transcribers Guild — This web site is really fascinating. It’s not only packed with information about ship’s passenger lists and the like, but it also features a wonderful link to online dictionaries in many European languages that is very easy to use. Society for German Genealogy in Eastern Europe (SGGEE) — This web page is devoted to the study of those people with German ancestry (generally of the Lutheran, Baptist, or Catholic faiths) who lived in present-day Poland (including those lands known previously as West and East Prussia, Posen, Silesia, and Pomerania), and also those people who lived in the western part of present-day Ukraine, in the old pre-World War II province of Volhynia. Finding Your German Ancestors — an interesting and helpful article that everyone doing German research can benefit from. The pulpit in the church of Scherneck, Germany. Chapters from BioFiles Create a Personal Biography. Your words, your voice, your photographs, your home movies, combined into permanent, user-friendly CD-ROM format. Leave a legacy your descendants will treasure! Interactive Currency Table — convert dollars to Deutschmarks or a wide variety of other World currencies. Very easy to use. German Post — a good site in case you are looking for people in Germany with your surname.